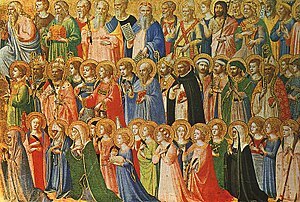 As we race towards All Saints Day I find myself reflecting a lot on those who have gone before me and helped shape me into the person I am today. I think particularly of the prophetic voices that have challenged me through their words and actions to realize that the world is not as God intends it to be and that I should be involved in doing something about it. Richard Rohr says “the role of the prophets is to call us out of numbness.” Since the beginning of time, prophetic voices both in and outside of scripture have been calling us to consider change of some sort. Sometimes it is spiritual change, other times it may be economic, political, or systemic change. Regardless of the emphasis, prophets challenge us to consider a better future. We live in a world that continues to change rapidly. We live in the midst of a rapidly changing world, church and environment. People are rising up and calling individuals, communities, nations, and everything in between out of numbness and toward justice, mercy, equality, and love. The prophetic voices that have called me out of numbness this year are many and varied. Some are faithful friends and collaborators like Paul and Liz Sparks who came to dinner a couple of nights ago. Paul is one of the founders of the Parish Collective whose emphasis on presence, place and practice constantly challenges me to consider my own community involvement and outreach. Christianity is carrying a lot of baggage. Two thousand years of well-intended (and sometimes not so well-intended) attempts to carry forward the good news of God with us have resulted in some murky understandings of the teachings of Jesus and the culture of God’s kingdom. To embrace Christianity, sometimes we have to repent of what we’ve made of it. Mark’s book challenges me to consider the many ways in which I still allow myself to be subverted by the ways of the world. A good reminder that I need on a regular basis. My dad was a generous and kind man and from him we learned how to be compassionate.. He opened our home to people who had nothing, who were coming from war-stricken countries or from refugee camps where they’d lived for 10, 15 years. From those experiences, we gained a world perspective. This year has brought me into contact with a rich array of people across the world, many of whom have spoken into my life in prophetic ways. For me this year many of the prophetic voices have not been well known inspirational speakers or cutting edge theologians. They have been the ordinary people who surround and support Tom and me and the MSA team and ministry. People who comment on this blog and constantly challenge me to walk with integrity and live the talk. People who encourage me to keep writing, praying and speaking out when I feel discouraged. People who support us when we come up with ideas like the Mustard Seed Village that sometimes sound more like si-fi imagining than reality. All of us are prophetic voices for someone. Any time we encourage, support or cheer for someone to make decisions for a more just, more generous, more loving life we are being prophetic. We are helping bring their dreams and God’s dreams for the future into being and that is I think what being prophetic is all about. Take some time this morning to think about the prophetic voices in your life. How can you, this All Saint’s Day, celebrate what they have contributed to you over the year?